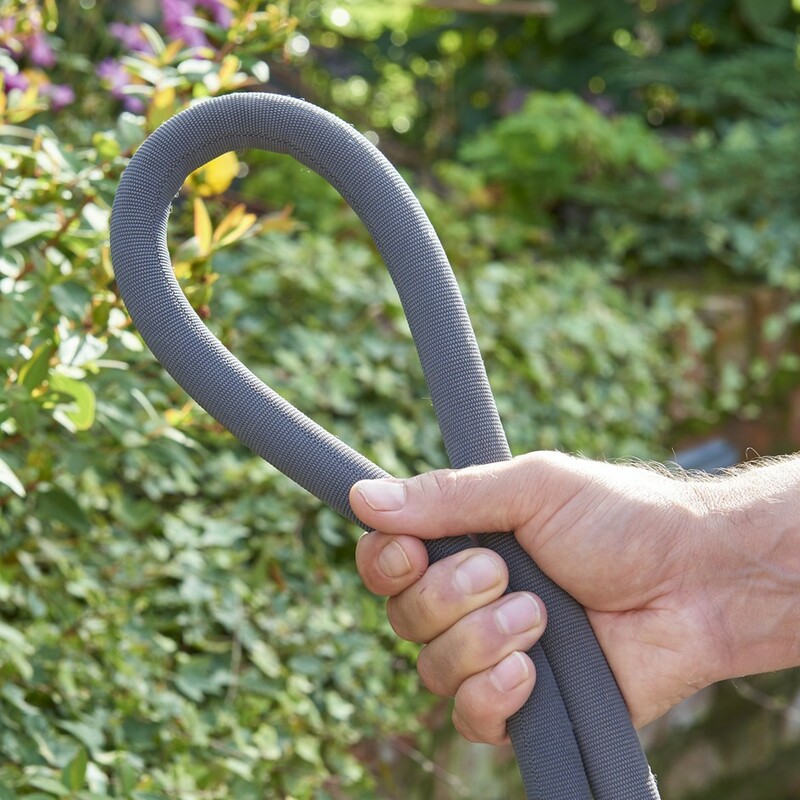 A NEW advanced hybrid garden hose, combining the best of two hose technologies – Traditional PVC and Textile. 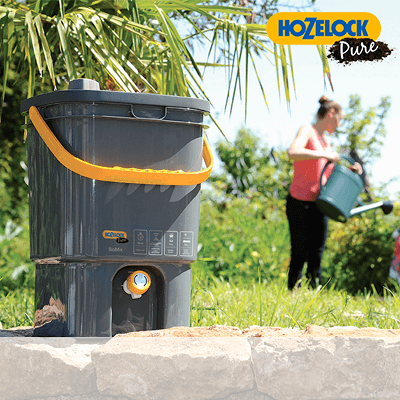 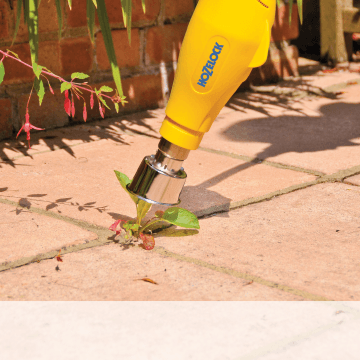 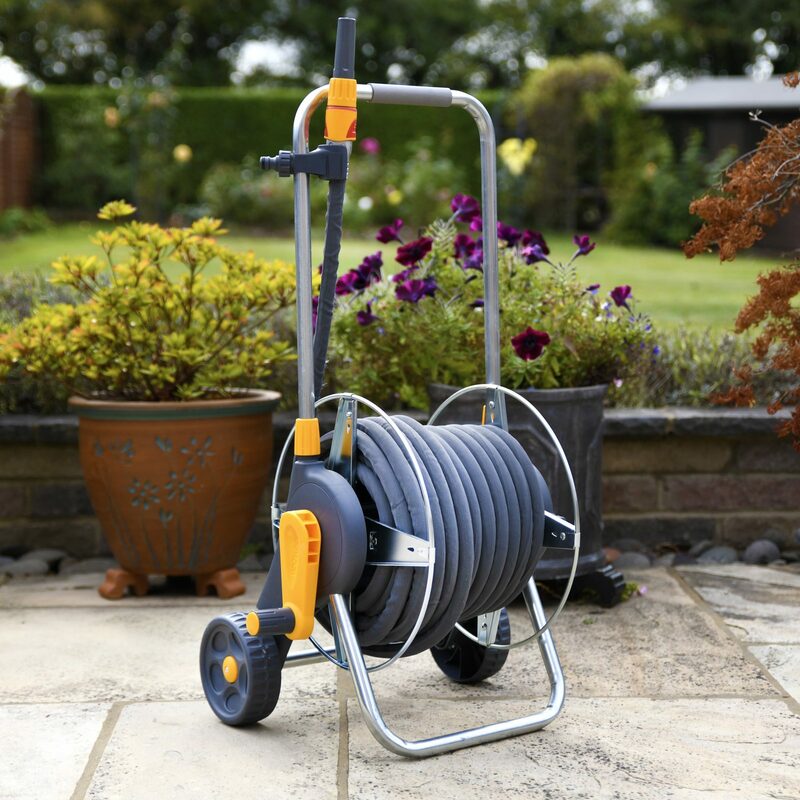 Easy to manoeuvre – The hose is so light and flexible it makes watering around your garden effortless and easy to put away. 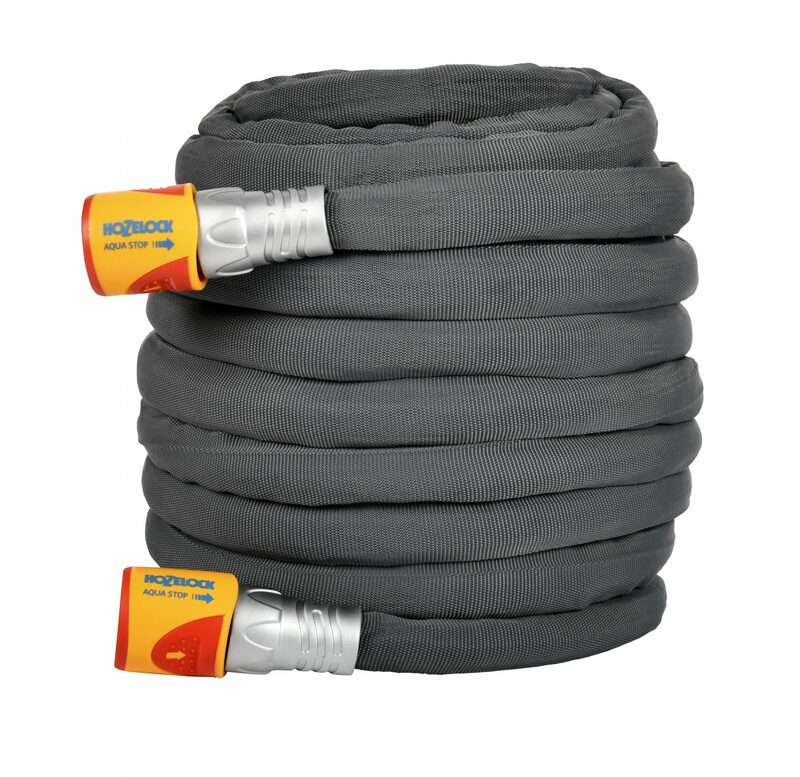 Easy to store – Tuffhoze coils easily so can be simply wound onto a reel or cart. 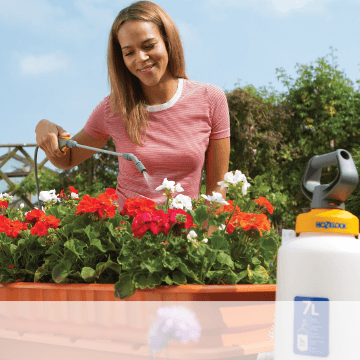 For general, domestic garden use – Ideal for watering the garden, or tougher domestic cleaning tasks. 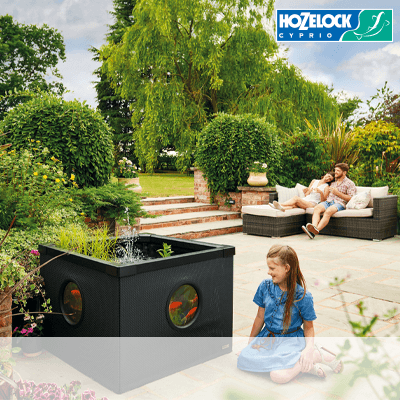 Hozelock Quick Connect System – Fully compatible with all accessories. 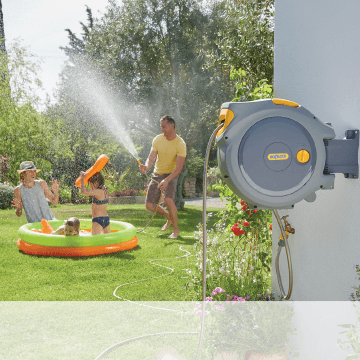 Guaranteed leak-free fittings – Ensures a water tight connection. 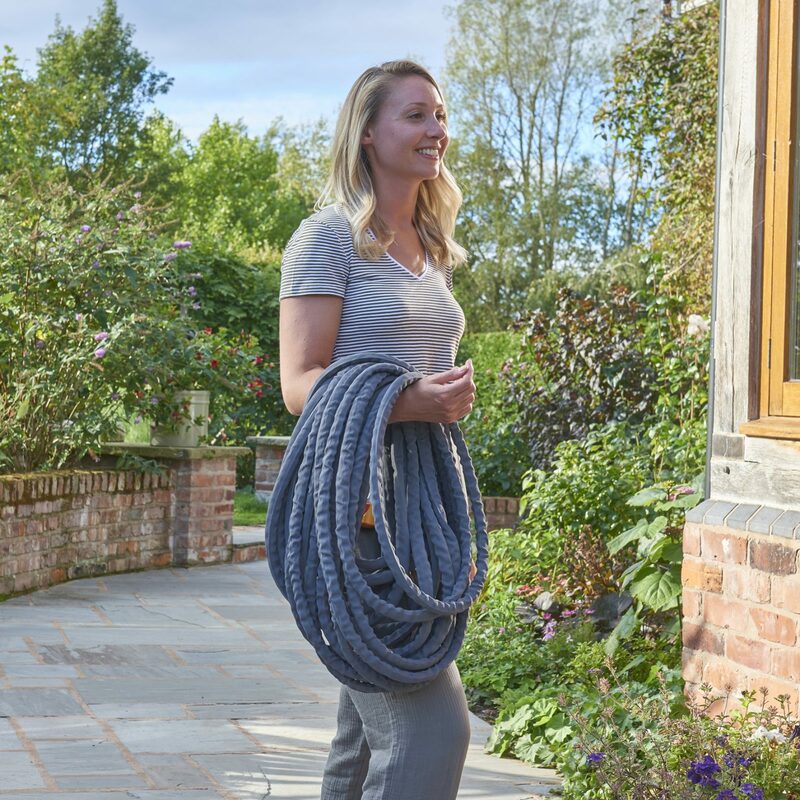 Premium Metal fittings – Deliver a hard wearing connection that is built to last. 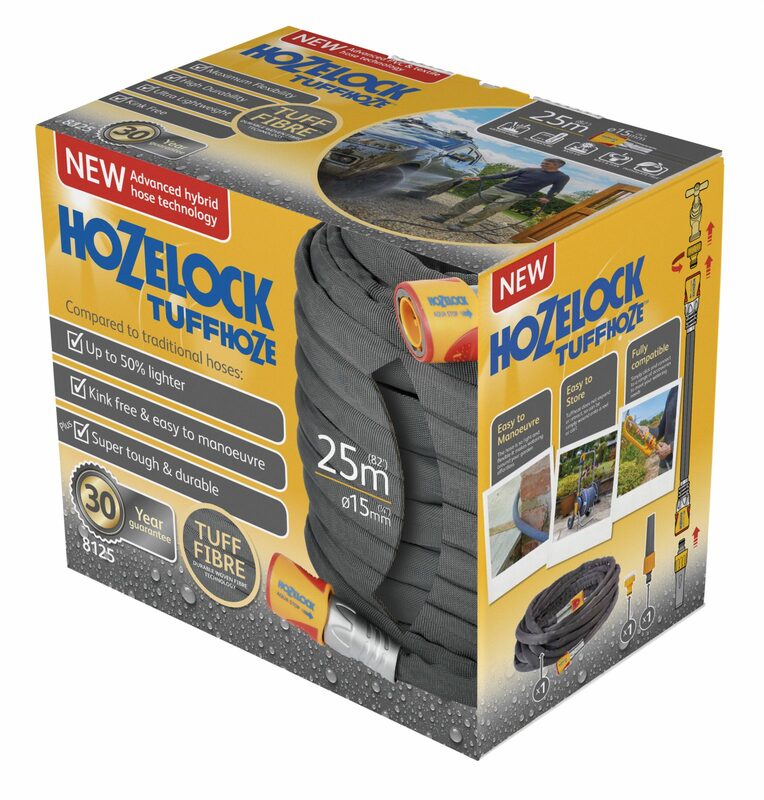 Guarantee – Tuffhoze is supplied with a 30 year guarantee. 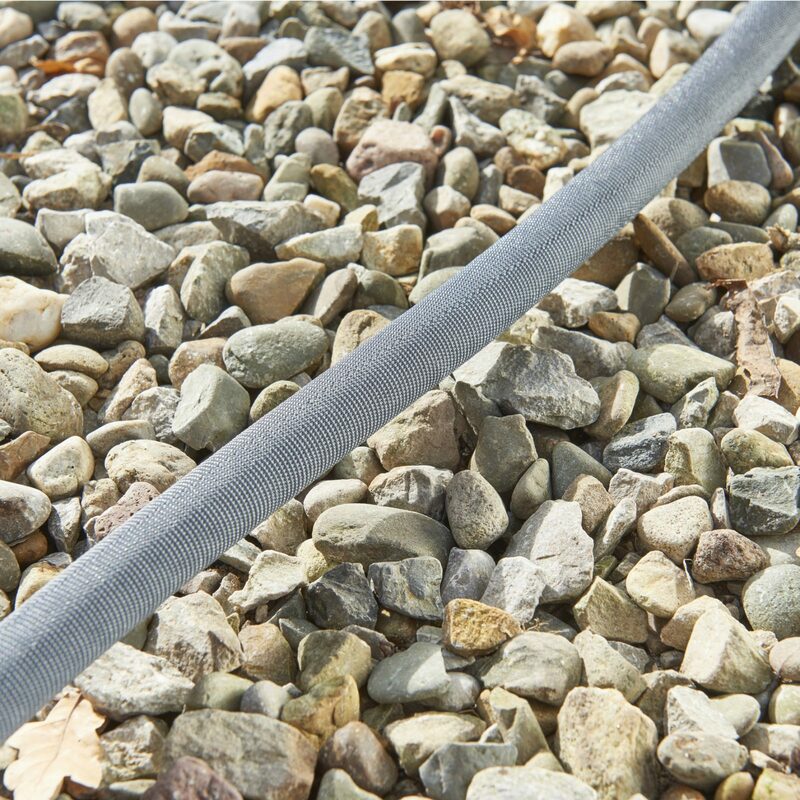 Our hoses are free from Phthalates, heavy metals and harmful toxins.